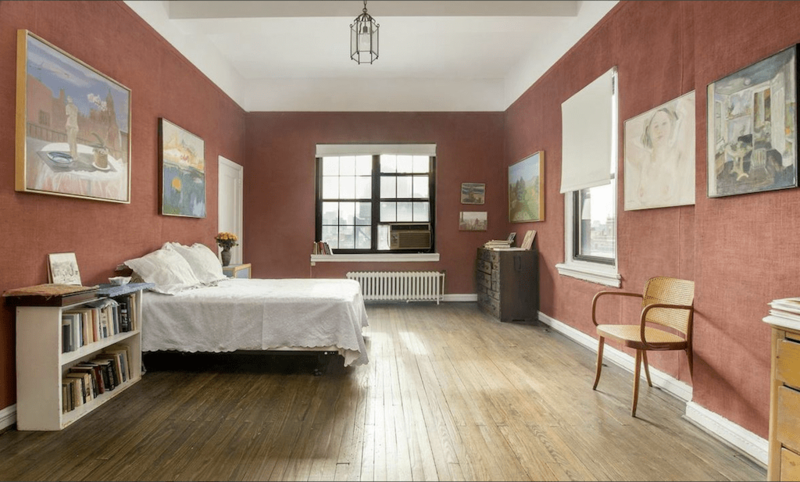 The three-bedroom, three-bath Greenwich Village duplex penthouse belonging to Jane Freilicher—an illustrious landscape painter who passed away last year at the age of 90—listed this week for $7.7 million. 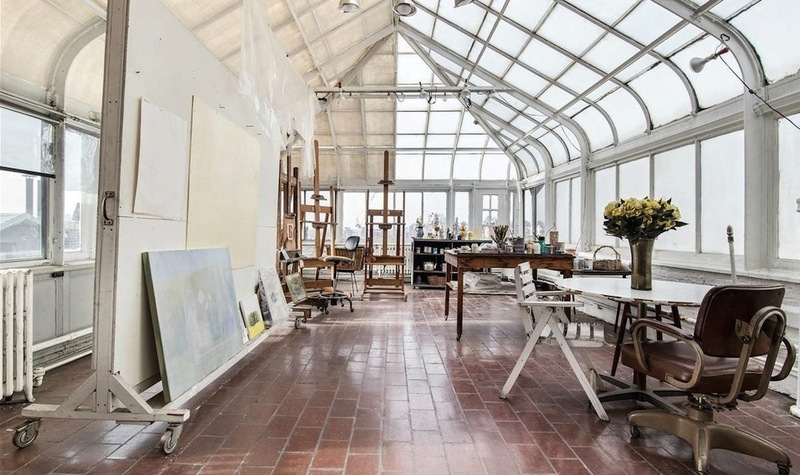 The lower Fifth Avenue apartment is crowned with a 1,000-square-foot greenhouse which served as her studio, in which she painted her colorful floral still lives. Freilicher had the distinction of being a highly revered friend and muse to a group of celebrated literary figures including Frank O’Hara, James Schuyler, and Pulitzer Prize-winning John Ashbery, inspiring them to dedicate their works to her, feature her name in their poetry, and even state that she—metaphorically—walked on water. This uniquely valuable offering boasts high ceilings throughout, a woodburning fireplace, and authentic detail which dates back to the Jazz Age. The beautiful Penthouse is bathed in sunlight thanks to three large terraces on two levels, and the large splendid greenhouse. Adding to its charm, the apartment has beautifully scaled rooms, beamed ceilings, and classic panoramic village views from four exposures. There is a stone staircase which leads up to a nearly 1000-square-foot greenhouse atelier, which the new owner could transform into into an entertaining space, starlit living room, or a studio. 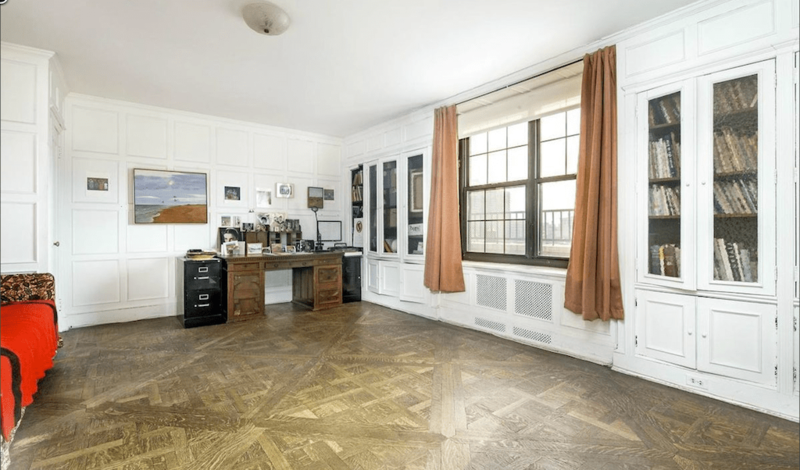 Built in 1929 atop one 51 Fifth Avenue—one of Greenwich Village’s most distinguished buildings on Lower Fifth Avenue’s “Gold Coast”— the space was home to Freilicher and her family for the last 50 years of her life. The elegant pre-war building has full time doorman, live in super, two automatic elevators, bicycle storage and a gym. One can’t help but wonder if the person who buys this beautiful home will also go on to inspire great works of art and literature.